Have you ever thought about what it means to wager or risk your life for something? We often look at people doing death-defying stunts on TV, engaging in extreme sports, and those in the armed services risking their life for our country and ask, ‘How can they do that?’ When we think about the Gospel and the great men of faith that have followed its call to the point of death we often ask the same question, ‘How can they do that?’ But here is the surprising answer; all of us will wager our life on something and in turn wager our physical life. So let me explain that a little more. All of us find life in something, we see something or someone as life giving to us and when we get that person or thing we feel alive. Conversely if that life giving thing is withheld from us we feel the depths of despair and death. People find life in a broad spectrum of things including: sports, family, drug abuse, work, hobbies, friends, dating, etc. So I have to ask you, ‘Where do you find life? What is it that gets you up in the morning, the thing you seek everyday that brings you satisfaction and life?’ Whatever you find life in, as you chase the life it has to offer, a natural by product is that you will risk your natural life. Take someone who likes to party for example. Someone who finds life in partying will attend, throw, and be apart of as many parties as they can find. They find life in it; it makes them feel alive. The natural by product of their quest for life is that they will loose a lot sleep and probably have some kind of substance abuse. Their body begins to pay the price for their quest for life. Naturally they will risk their physical life on what they think brings them life; and we all do the same. For me this was rock climbing. I organized my whole life to support my climbing. I found great life in it. In this sermon you can hear about my experience, particularly climbing El Capitan in Yosemite for the first time when I was eighteen. 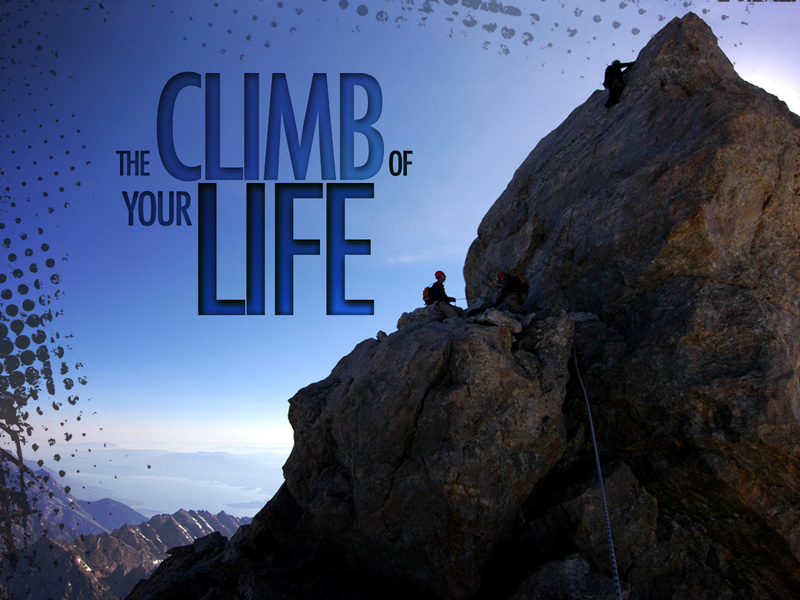 For me climbing brought me life and risking my physical life naturally became a part of chasing life in climbing. I still like to climb, but the life I found in climbing has become subservient to the life I have found in the Gospel. Recently I was privileged to preach at my church’s men’s retreat on risking your life as a Man of God from Philippians 2. The main point of my message was this: A man of God needs to risk his life for the greater glory of life found in the Gospel. Below I would like to lay out a brief outline of the points from my sermon, but to get all the details you will have to listen. Philippians 2 lays out like this: there are four imperatives by Paul, commands to the believers of Philippi on what they need to do to risk their life for the greater glory of life found in the Gospel, this is followed by three examples of men of God doing this well. Imperative number one comes in Philippians 2:1-4. It basically says, ‘Make my joy complete by being of the same mind, same love, united.’ The point of this imperative is that we all need to grow up into the Call of the Gospel and look beyond ourselves. If we do this, we make our pastors very happy! Imperative number two comes in Philippians 2:5-8. It says, ‘Have the same mind of Christ; take the form of a bond-servant.’ The point of this imperative is that we need to look to Jesus for the paradigm of what it means to be a man that has become a servant of the Gospel. Imperative number three comes in Philippians 2:12-13. It says, ‘Work our your salvation with fear and trembling.’ The Point of this imperative is that you need the Spirit of God to do a work in you if you are going to humble yourself in a pattern after Christ. The final imperative in Philippians 2 comes in Philippians 2:14-16. It basically says, ‘Do all these things without grumbling or disputing.’ The Point of this imperative is that we need to Cling to the Gospel, and work at our calling to it with Joy! Not grumbling and complaining. The by-product of following this imperative is that we will show forth the Gospel to those around us. After these four imperatives to the Philippians on how to risk their life for the greater glory of life found in the Gospel, Paul gives three examples of men that have done this well. Christ is the paradigm for these examples as explained through imperative number two in Philippians 2:5-8. The three men that are examples for us are Paul, Timothy, and Epaphroditus. All three men follow the pattern of Christ, they humbled themselves, served others, and received glory that they in turn point back to the Father. Christ is the paradigm, Paul is an Apostle, Timothy a missionary pastor, and Epaphroditus is a regular guy that had his life changed by the Gospel. All three previously found life in something else and now find it in the message and work of the Gospel. All three risked their physical life as a result of the greater glory of life they were pursuing in the Gospel.